GAFFI represents the best of the breeding program of master breeder Dan Gainey, who carefully linebred to SKOWRONEK through his sons *RASEYN (with the inbred FERSEYN son FERZON) and *RAFFLES. 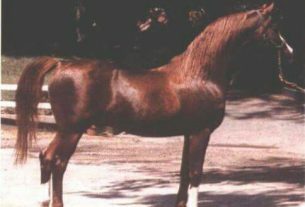 Her dynastic influence on the breed is remarkable, and extends to virtually all disciplines in which Arabians compete, including halter, working western and sport horse in the show ring and endurance ride winners. Her influence can be seen in breeding programs worldwide, from North America to South Africa, from Europe to Australia! GAFFI produced a lifetime total of 15 registered foals the first in 1970 and the final one when she was 21, in 1985 (she was sold to Count Zichy Thyssen of Argentina in foal in 1985). Of these, 2 were National winners and 4 producers of National winners. Her National winners include U.S. National Champion Futurity Colt BF CIMMERON and U.S. Top Ten Stallion GAFFIZON++, sire of 10 National winners including REMINGTON STEELE++, the only horse ever to be named a U.S. Top Ten Stallion and also finish the grueling Tevis Cup endurance ride. GAFFIZON++ is also a noted broodmare sire with a number of daughters who have produced National winners in halter and performance. GAFFI’s National winner producers include GAFFIZON++ and three of her daughters. BF BINT SCIMITAR is the dam of Canadian Top Ten English Pleasure Junior Horse BF PIRELLI, U.S. Top Ten Futurity Colt SCINATRA, Canadian Top Ten Western Pleasure and National Champion sire SCIMARON and National winner producer BF TIFFANY SELECT. GAI APACHE VIENNA is the dam of U.S. Top Ten Gelding GAI MADEIRA and of National winner sire GAI REGAL. GAFFI’s most famous daughter is GAI DREAM, the dam of U.S. and Canadian National Champion Mare GAISHEA. She produced Canadian National Champion Stallion and National Champion sire GAI MONARCH, U.S. Top Ten Sweepstakes Filly GAI JULLYETTE and Canadian Top Ten Futurity Gelding ABSOLUT DAKAR. GAISHEA now has three offspring who have produced National Champions. Her son GAI MONARCH is the sire of multiple National Champion Sport Horse Mare EK MONARCHS JEWEL+++// and U.S. National Champion Mare AOTH SHF MISS SCARLET+, and U.S. Top Ten Sport Horse Mare and Sport Horse Under Saddle GAI DREAM ON+++/ (who is double GAFFI). Her daughter STAR OF GAISHEA is the dam of 2012 Canadian National Champion Yearling Filly and U.S. Top Ten Yearling Filly STAR OF JUSTICE ORA. GAISHEA’s daughter GAILLYE is the dam of 2011 U.S. Top Ten Two Year Old Filly LACINA. GAISHEA’s granddaughter GC MEMOIRS OF GAISHEA is the dam of 2012 U.S. National Champion Two Year Old Filly GC SEASONS OF LOVE. GAI DREAM is also the dam of National Champion sire DREAMAZON+++, and of CF GAI FANTASIA (dam of National Champion sire AM DOUBLE DREAM, who is by DREAMAZON+++ and is thus double GAFFI). Both DREAMAZON++ and AM DOUBLE DREAM have sired multiple National Champions for Al-Marah Arabians, their descendants excel in both working western and sport horse disciplines. GAFFI has three daughters who are dams of National winner producers. 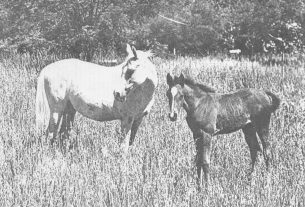 Her daughter GAI-GAY-VICTORY produced SIR VICTOR, sire of Canadian Reserve National Champion Hunter and U.S. National Champion Jumper KLR STAR SHINE and grandsire of VICTORIAN LACE QR, dam of U.S. Top Ten Sweepstakes Filly MILLEAH and of multiple National winner in country pleasure MOMENTUM LOA). GAFFI has two other daughters who are dams of National winner producers: GAI ALICIA (dam of National winner producer GAI GALISHA), and BF GAFFI SILOETTE (dam of National winner producer BF BEYONETTE). GAFFI is by the *RAFFLES son RAFFI, a National Champion sire, with National winning get including twice U.S. Top Ten Mare and seven time National winner IBN RAFFI, twice U.S. Reserve National Champion Formal Combination and a multi-top ten park winner. RAFFI is a full brother to IMARAFF, sire of the U.S. National Champion Mares LALLEGRA and IMARFA++ (both National winner producers) and National Champions in western pleasure and park. RAFFI is a three quarter brother to Canadian Top Ten Stallion IKHTIKYARIN and to National winner sire GEM OF CEDARDELL. GAFFI’s dam is the superb mare GALATINA. Of her 15 registered foals, 12 are champions or champion producers. Of these, 6 are champions in halter or performance or both. Her son GAILLAC++, a Legion of Merit winner, is the maternal grandsire of Canadian Reserve National Champion Stallion NELCREST CHAMPAGN+ (who is by a son of SHAR MAR FERZAY and is thus closely related to GAI GAY VICTORY). Her daughter GALICIA is the dam of U.S. National Champion Hunter Under Saddle GE SULLIVAN by FERZON. Another daughter, GALAMA, produced Canadian Top Ten Gelding SHAR MAR ROUGENE (by GAY-ROUGE and thus closely related to SIR VICTOR), he in turn sired Canadian Top Ten Stallion GREENWOOD BRIO. 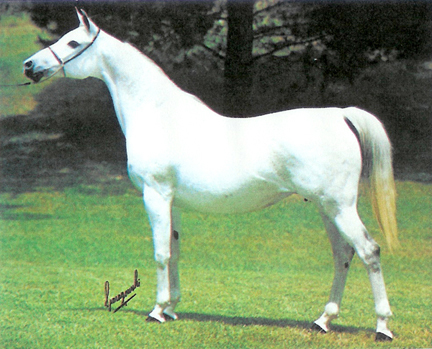 GALATINA’s son GARIS sired 3 National winners in halter and 11 of his daughters produced National winners (GARIS is a three quarter brother to GAMAAR, maternal grandsire of National Champion producers ALADDINN ECHO and RAFFOLETA ROSE, parents respectively of U.S. National Champion Stallions ECHO MAGNIFFICOO and FAME VF+). GALATINA’s son GAYJO sired U.S. Reserve National Champion Native Costume GATAR. Another GALATINA son, GAI SISLEY, sired 2 National winners in halter.